Item # 297149 Stash Points: 2,799 (?) This is the number of points you get in The Zumiez Stash for purchasing this item. Stash points are redeemable for exclusive rewards only available to Zumiez Stash members. To redeem your points check out the rewards catalog on thestash.zumiez.com. 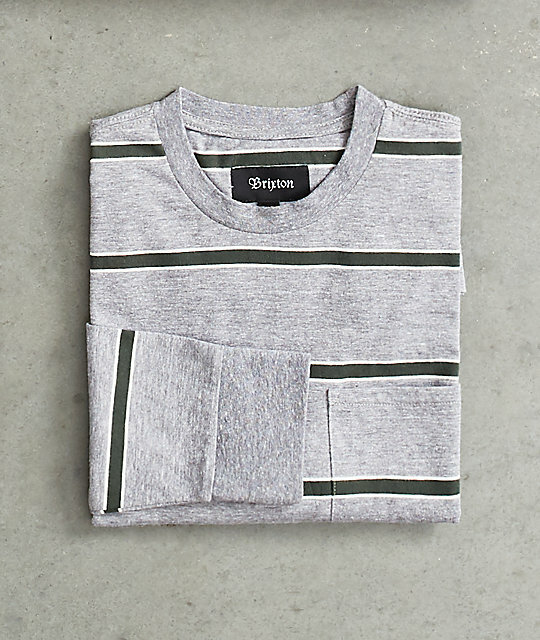 Comfortable and casual, the Hilt grey and green pocket long sleeve t-shirt from Brixton sets the bar high as a design made with premium processes and materials. 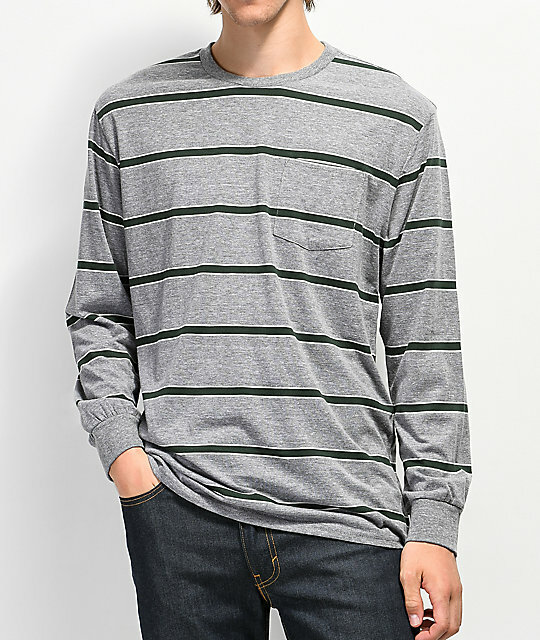 With a crew neck collar for a classic fit, this long sleeve tee comes with a grey and green striped pattern throughout as well as a left chest pocket for convenience. 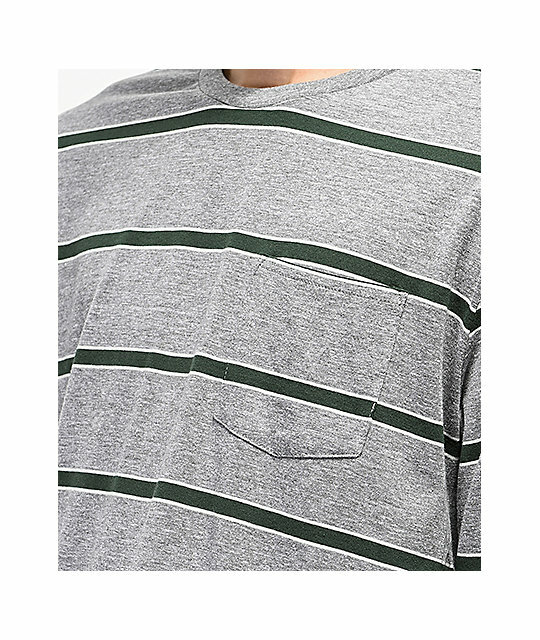 Hilt Grey & Green Pocket Long Sleeve T-Shirt from Brixton. 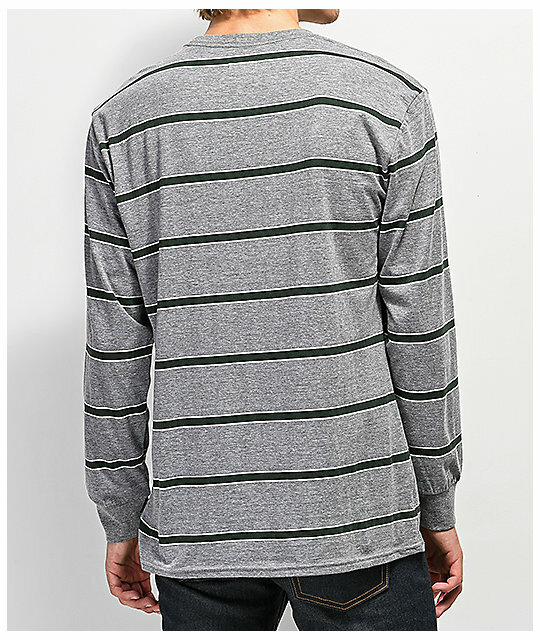 Grey construction with green yarn-dyed stripes throughout. Woven brand tag at the side seam.